In once again for LD. 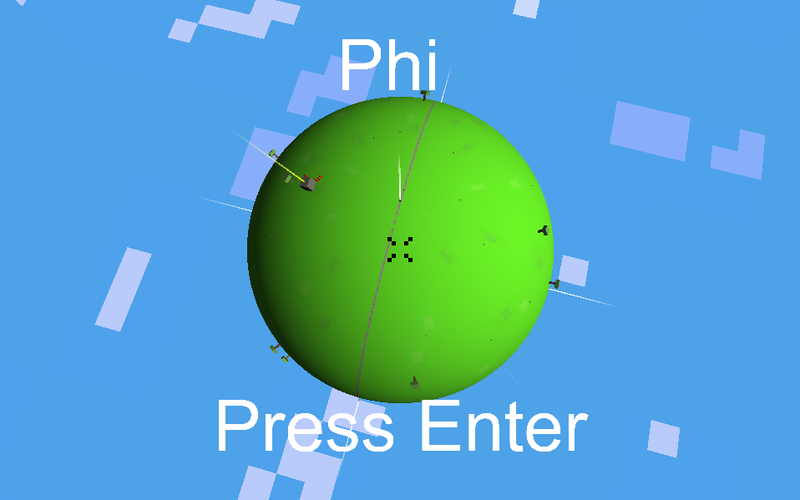 I’ll be using mainly Unity for development and maybe Django for some online features but it depends on the game. I’m in for Ludum Dare 25. Will be using Unity and hopefully will use Django as well. Just a quick post to let everyone know I ported the controls of my LD game Vol to a touch interface and did an Android build. Do note though that the Android version isn’t guaranteed to run or run very well on your device. I have a HTC OneX and it performs okay, at least for the purposes that I created it for, which is mainly to test the control scheme on a touch device. You can download the .APK here. Also here are some analytics because they’re fun. Average time (in seconds) spent on levels 1-7 and Session Time. Session Time is time spent from starting a new game to game over, and the average is 388 seconds or 6 minutes 28 seconds. Not bad! I wish I was tracking analytics on my last LD game, had reports of over an hour before finishing. More diverse than I expected! The number of unique players in the last week is 166. Anyway, analytics are fun. You should use them in the next LD. I’m in again, second Ludum Dare. Will be using Unity for development. I wasn’t actually planning on doing a post-mortem but things I typed up on my own site ended up being something like a post-mortem, so here it is! 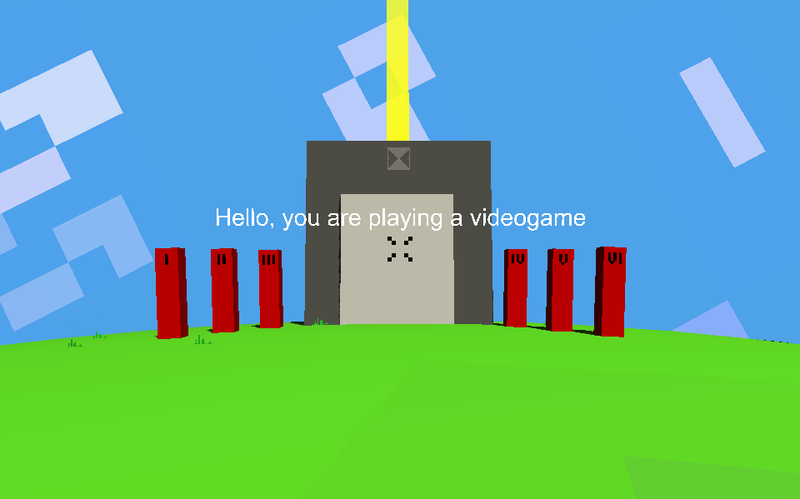 I decided to do the competition and make a game by myself. This was my first Ludum Dare and the first time I’ve ever attempted to make a game by myself in a short amount of time. When the competition started and when the theme, ‘Tiny World’ was announced it was 11am Saturday and I was at work. So I had some time to just think, which may have been very important to the design process, it seems like it must be but I’m really not too sure. Ideas started whirling around in my head and I tried hopelessly to keep up while I typed them into the note app on my iPhone while on break. Actually that sounds silly, it wasn’t that dramatic. Originally I envisioned to create a small version of a game I’m already working on in my spare time, but quickly dismissed it because the scope of it is too big, and when I release that game I want everything to be just right. 48 hours is not enough time to do that I think, and I wanted to a complete game, not a prototype. I started thinking of games that I have recently played and aspects of those games that I have enjoyed or found refreshing. Those games where Fez and Proteus. 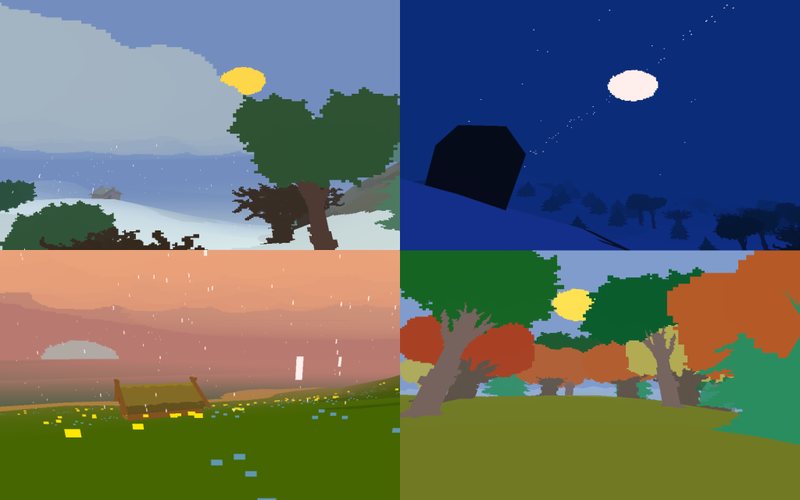 Specifically I wanted to combine the mystery and sense of discovery of Fez with the living environments of Proteus to emphasise the world part of Tiny World and make it feel alive the way Proteus did. One of those aspects I think I absolutely nailed, the other didn’t exactly get to where I wanted it, but I did enough to make people noticed it so I count that as a success as well. I finished work at 4:30pm and started development soon after, here’s the time-lapse. Time-lapses are cool, they make you look super productive. You can play the finished game in your web browser here. Then something really cool happened, people liked it! They recognised exactly the aspects I was aiming for when I was at work thinking about what I wanted to make. The game does take some time to finish and I expected most people to walk around aimlessly and quit, and maybe that is what happened, but certain people would stick around and try to finish the game, which is amazing, people playing my game for longer than 45 minutes is insane. That reminded me of mentioning some other things I think I did quite well, retaining the players investment in finishing the game. There are multiple things that kept players playing I think, one is the mystery! Which I’ve mentioned I like. There is one main puzzle in the game, and I leave hints throughout the world leading to the answer, once a player comes across a hint, it is quite obviously a hint, and they feel compelled to discover the answer, compelled to keep playing. Another is the ‘There will be math. Good Luck!’ message at the beginning of the game. I’m not a story writer so I didn’t attempt to weave a story into your character or his/hers goals. So I decided to talk to the player directly at the beginning of the game, the game admits to the player that it is, in fact, a video game and that you as the player are playing said video game. But back to the point, I mention that there will be math involved in this game and there is, but the math is actually one of the last steps in the puzzle. Depending on the player, they might like math (me) or have no preference/dislike math. For those that like math they will probably keep playing to see the math and ‘conquer ‘ it, and that is another thing that will probably keep the player playing until the end. Something that didn’t go quite well was the size of the world, its way too big. I tried desperately towards the end of development to try to add cool landmarks to the world, or add other things to make sure the player knows where they are. Some of these worked, like the beacons or rock path that loops around the world. Though what I should have probably done instead is make a mini-map or just reduce the size of the world. Another thing that might deter players is at a certain point in the puzzle they realise they have to visit six pylons around the planet, this is a bit of a boring task, it reminded me of an MMO quest actually, and I wouldn’t be surprised if that would be a point were players would just give up. Overall I’m very happy with it, and realised I can actually design (anyone can), there’s hope for me yet. 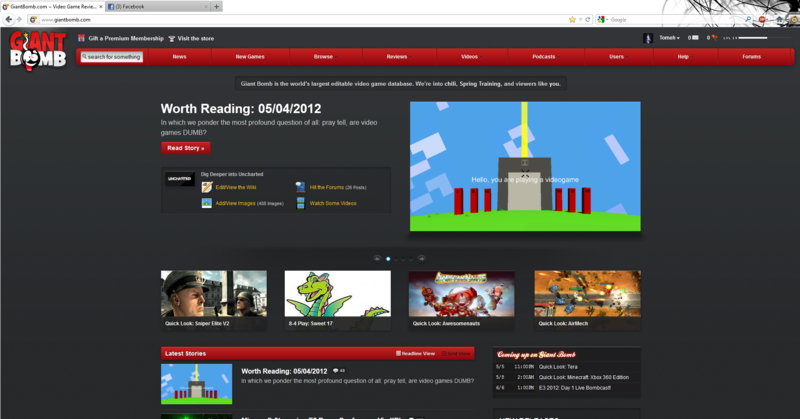 Then something even cooler happened, GiantBomb featured my game! I’ve been visiting GiantBomb.com for years, before I knew anything about game development, and seeing my game on their home page was pretty crazy. Here’s to hoping I’ll be just as happy with my next Ludum Dare entry, we’ll see. It’s a puzzle game inspired by aspects of Fez. This was my first LD but more importantly the first time I had attempted making a full/playable game completely by myself in any short amount of time so I was unsure of what the results would be. But, I did it, and I’m quite happy with it. I just had a friend play test and he figured it out easily enough. Hope to do this again. Hi I’m Thomas a just post grad programmer from Sydney. This will be my very first time doing a Ludum Dare. I’ve done a handful of gamejams before but never alone, I mainly practice programming and have minimal skills in all the other areas of game dev, So the end results will be interesting/horrible. I’m planning to use Unity for the development. 26 queries executed in 0.096 seconds.